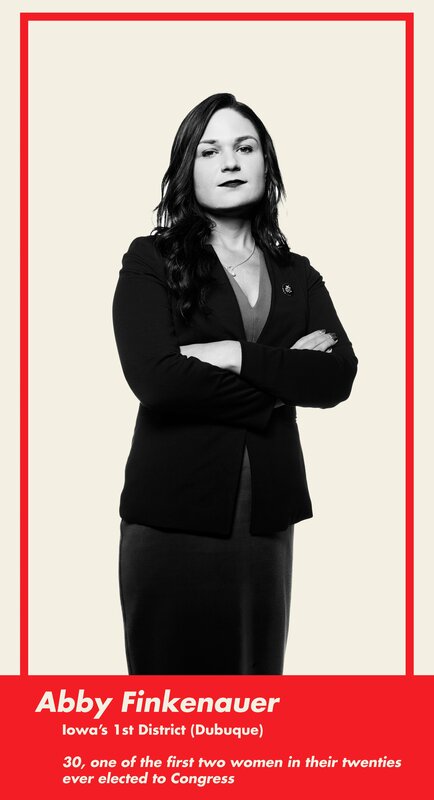 Today, as you probably know by now, there are 127 women in the House and Senate. Congress is nearly ¼ female—a record. OK, but who are these lady bosses? Most—44%—are 60 to 79 years old. Another swath—43% —are 40 to 59. There are 10 women in their thirties, 5 in their eighties, and a 29-year-old (pretty sure you know who she is). 78% are moms. 69% are married. More than ⅓ are women of color—46 Democrats, 1 Republican. Which brings us to another imbalance. Women’s representation is concentrated on the left side of the aisle: 106 Democrats, compared with 21 Republicans. In the November 2018 midterms, the GOP actually lost 8 seats held by women. Not great. But then consider this: A century after that Montana woman took her seat in Congress and it became coed, there are still 18 states that have never sent a female senator to Washington and 4 that haven’t elected a woman to the House. 2. Potty parity was basically a joke for a long time, and kind of still is. So, the last so-called year of the woman was 1992. The following year, women Senators *finally* got a lady’s loo installed outside the Senate chambers. What else has and hasn’t changed since 1992? CONTINUE READING THIS STORY HERE. 3. You have to find your squad. Who are you going to network, commiserate, or gamble with? Photograph of The Pink Ladies courtesy of Representative Lois Frankel. 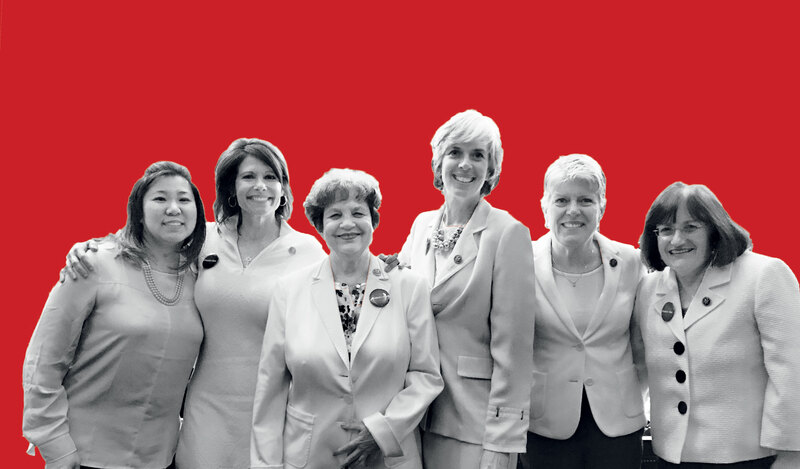 Membership: Congresswomen Lois Frankel, Cheri Bustos, Grace Meng, Annie Kuster, Katherine Clark, and Julia Brownley, plus a rotating cast of other Dems, many of whom live in the same Capitol Hill apartment building. Membership: It started as a spread-sheet with a hand­ful of names and morphed over-night into a bicameral, bipartisan group of 200. When formed: A longstanding event that Dingell was invited to join years ago. Membership: Former and current Hill and administration members, mostly Republicans. 4. A supportive husband is clutch. 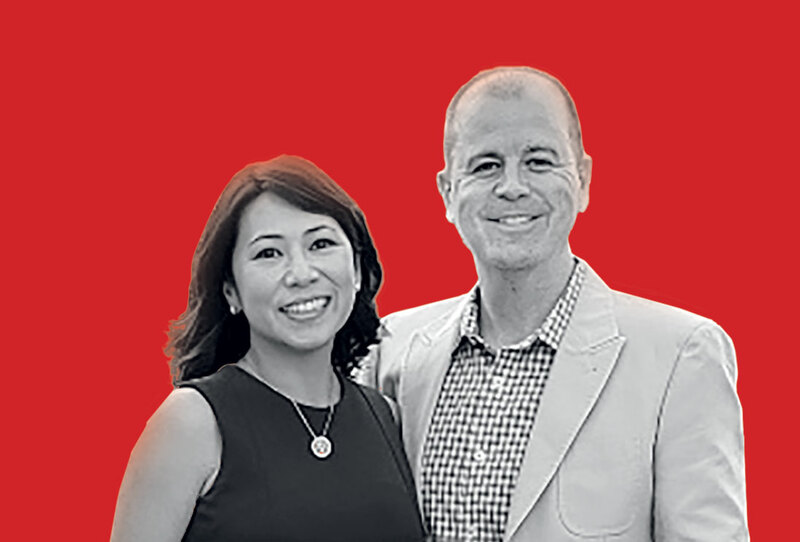 Sean Murphy, husband of Florida Congresswoman Stephanie Murphy, explains why. Congresswoman Stephanie Murphy and her husband, Sean. Photograph courtesy of Sean Murphy. Have you ever thought, “What am I doing, single-parenting”? 5. It helps to remember what it took to get there. Just ask one of these new trailblazers. Former jobs: State legislator; city-council policy aide; community nutrition educator. 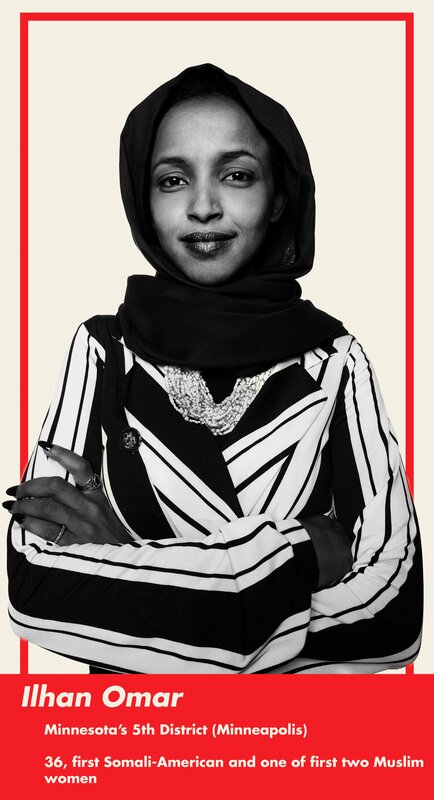 Notable: Somali refugee who emigrated to the US at age 12. Former jobs: County judge; county commissioner; teacher. 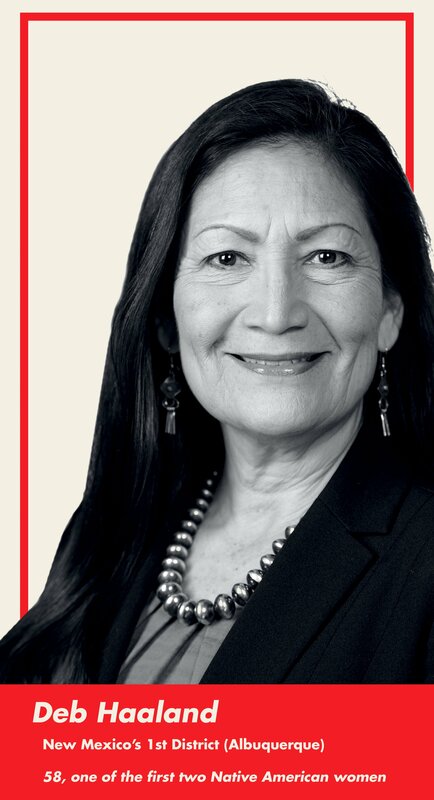 Former jobs: Chair of state Democratic party; lieutenant-governor candidate; tribal administrator for a reservation; owner of a salsa company; cake decorator. Notable: Put herself through law school as a single mom. Former jobs: State legislator; legislative assistant in the state-house; sales assistant. Notable: Youngest female state lawmaker in Iowa; second-youngest woman in Congress. Former jobs: State lawmaker; lawyer and advocate. Notable: Called Trump a “mother-f – – – er” at a MoveOn event shortly after taking office. Represents the third-poorest US district. Known for stunt activism, including collecting toxic environmental waste in Ziplocs and blocking a street in support of a minimum-wage boost. 6. And not to let anything—including men—get in your way. Like these three local stars, who turned Virginia blue—and pink. Former jobs: Owns a make-your-own-mermaid shop; naval commander. Notable: Six overseas deployments during the Iraq and Afghanistan wars; supervised nuclear reactors; mother of three. Where she’s living: Capitol Hill. Former jobs: Consultant; CIA operative; postal inspector. 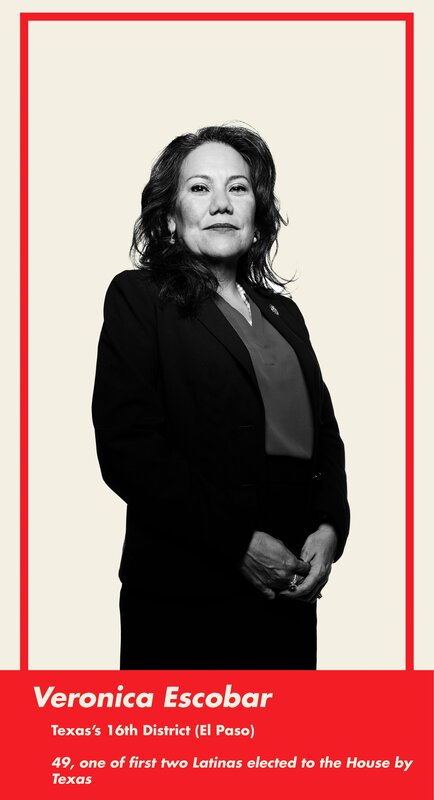 Notable: Speaks four languages; handled foreign spies while pregnant; mother of three. Where she’s living: Navy Yard. Former jobs: Prosecutor in Loudoun County; state senator; family lawyer. 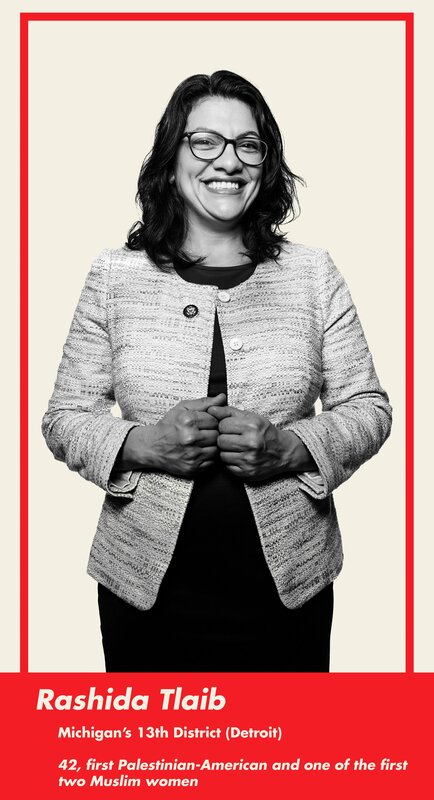 Notable: Born in DC, supports state-hood; parents were federal workers; mother of two. Where she’s living: With relatives in Old Town and McLean, or at home in Leesburg. This article appears in the February 2019 issue of Washingtonian. 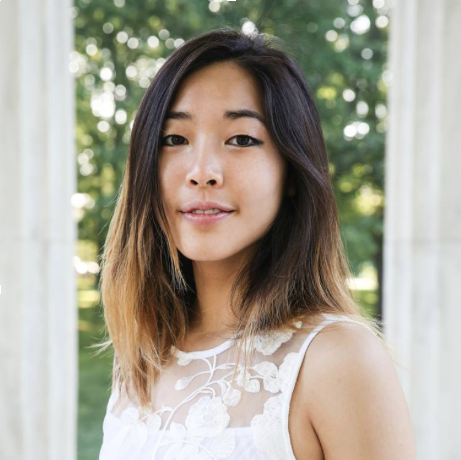 Helen joined Washingtonian in January 2018. She studied Journalism and International Relations at the University of Southern California. 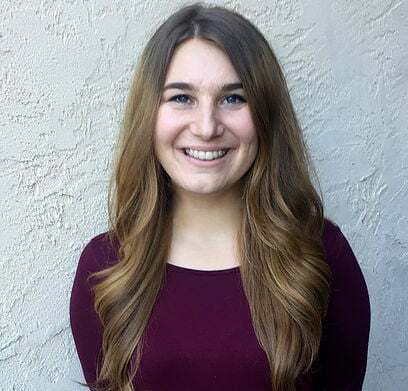 She recently won an Online News Award for her work on a project about the effects of the Salton Sea, California’s greatest burgeoning environmental disaster, on a Native American tribe whose ancestral lands are on its shores. Before joining the magazine, Helen worked in Memphis covering education for Chalkbeat. Her work has appeared in USA Today, The Desert Sun, Chalkbeat Tennessee, Sunset Magazine, Indiewire, and others.